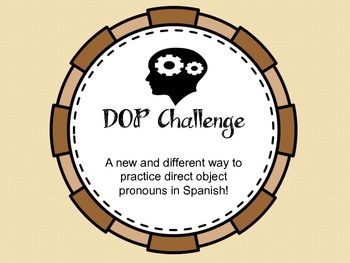 Help your students learn about direct object pronouns and how to use them appropriately in Spanish sentences. This powerpoint includes a variety of photo sentence equations – - some where the direct object needed to be replaced by a direct object pronoun and some where the sentence was to stay intact. 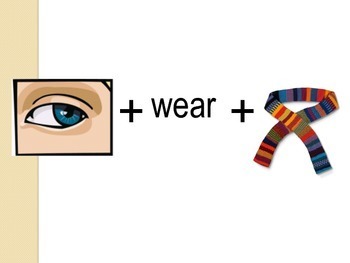 If the direct object needed to be replaced with a pronoun, the put the picture in brackets. Students can come up to the screen one by one. 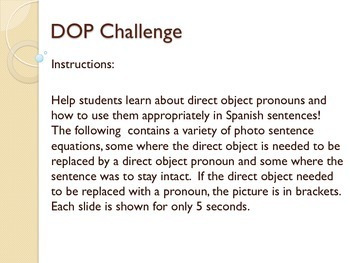 Each student can to set a goal of how many equations they could say correctly in Spanish before the slide changed (each slide only shown for 5 seconds). Students cycle through as many slides as they can, saying the Spanish sentence and the sentences with the direct object pronoun.